Pine Island Nursery was founded in 1972 by owner and President Colleen H. Boggs. The farm, which spans fifty acres, is family-owned and operated. 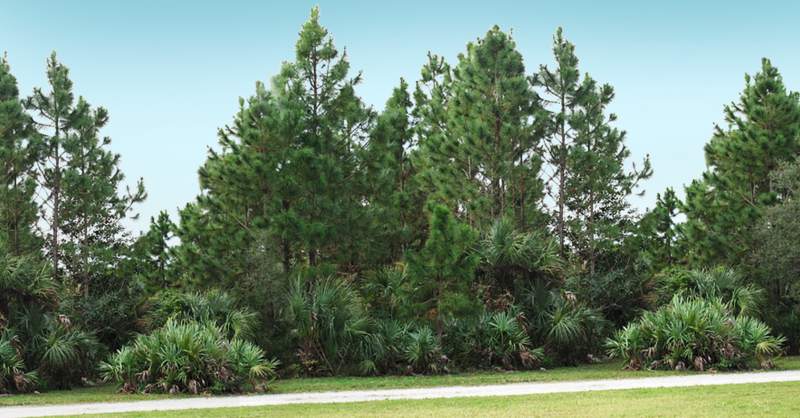 It's located twenty-five miles southwest of downtown Miami in an upland pine habitat that gives the nursery its name. The property is one of the largest privately-owned natural forest communities remaining in Miami-Dade County, and we replanted more than 2,500 pine trees after the complete annihilation of the primary forest by Hurricane Andrew in 1992. The pine trees are now over forty feet tall, and the restored forest is beginning to look the way it did before the hurricane. Pine Island Nursery's business started as a wholesale supplier of rare palms, fine indoor foliage and fruit trees. Today the product line is exclusively tropical fruit, nut, and spice trees. The nursery serves commercial fruit growers, landscapers, garden centers and the public directly. Our primary market is Florida, but we hold the necessary certifications to ship plants to all 50 states and Canada. We also remain an active exporter to the Caribbean, Latin America, and other countries around the world where it is possible, safe and practical to send live trees. Our mission is to provide growers with the highest quality, commercially viable fruit trees in the world, while offering landscapers and homeowners the finest selections of rare and unusual fruit trees suitable to more suburban environments. We also aim to provide a safe and enjoyable workplace for our employees, and to ensure that our clients have a pleasurable experience while remaining environmentally responsible through sustainable farming practices. To all of you, from all of us at Pine Island Nursery: Thank you and happy planting!